As we get closer to the end of the year (!) 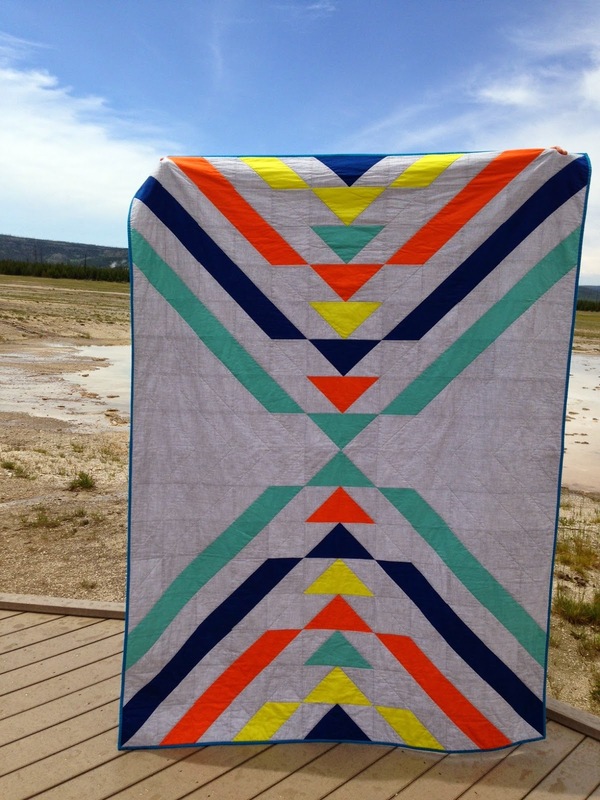 I've been looking back over all I've accomplished and I realized I never shared this quilt, which is truly one of my favorites. 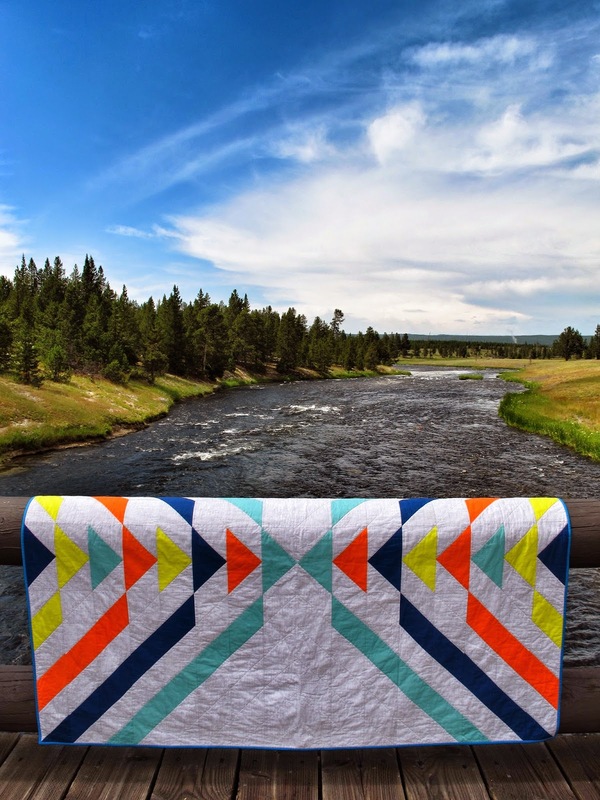 This is the Slipstream pattern by Caroline at Nightingale Quilts and I was testing it for her just before our family vacation to Yellowstone. Being the crazy quilt lady that I am of course I put the twin sized quilt (about 60"x80") into my suitcase and carried it merrily across half the country to get some good photos of it. Totally worth it. The colors in this are all Kona solids - Wasabi, Carrot, Prussian and Sage with Timeless Treasures Sketch in Fog for the background and Kona Pacific for the binding. 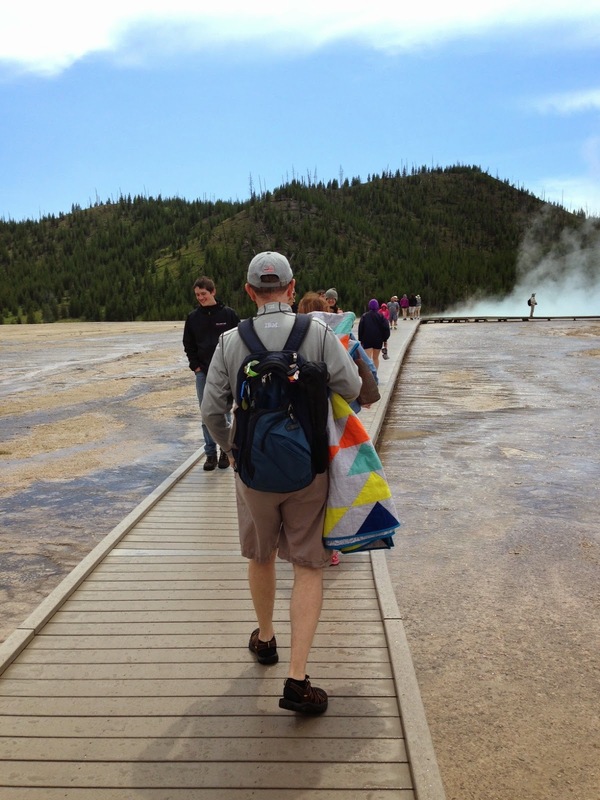 The colors couldn't have been any more perfect to complement the stunning beauty we found everywhere in Yellowstone. I backed it in a gray flannel and we actually snuggled under it every night during our vacation so while it may have seemed like a strange idea to carry it along with us it turned into the best possible souvenir. 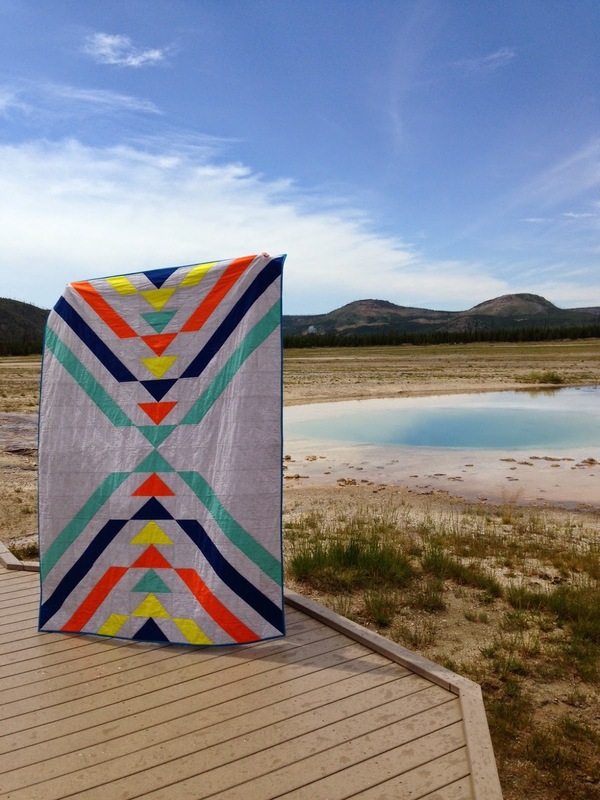 This will always be the Yellowstone quilt to me! 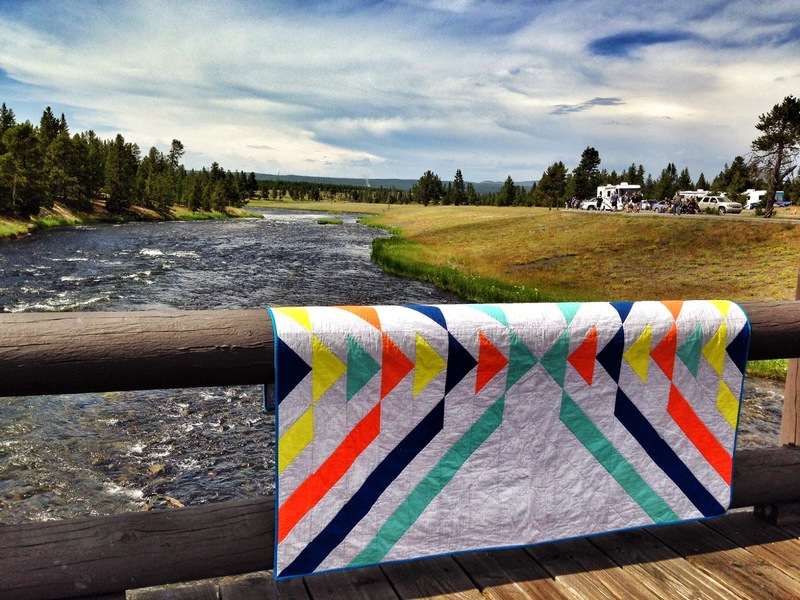 Beautiful quilt, and lovely setting for the photographs! This is awesome! I love it and the choice of colors.